This is a bundle of 28 selected styled stock photography pack for your social media posts! The images have been edited with multiple filters to create a blurred and faded look. 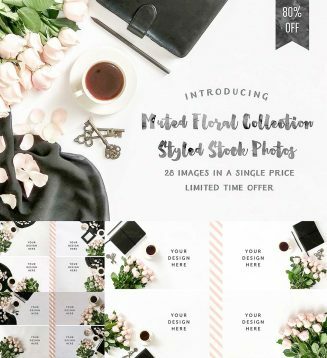 Perfect for a feminine looking social media and blog posts. Tags: cup, faded, feminine, floral, mockup, muted, notebook, rose, stock photo, styled photo. This file has been reuploaded.